Ideal for brainstorming and process mapping on meeting room walls and meeting charts. 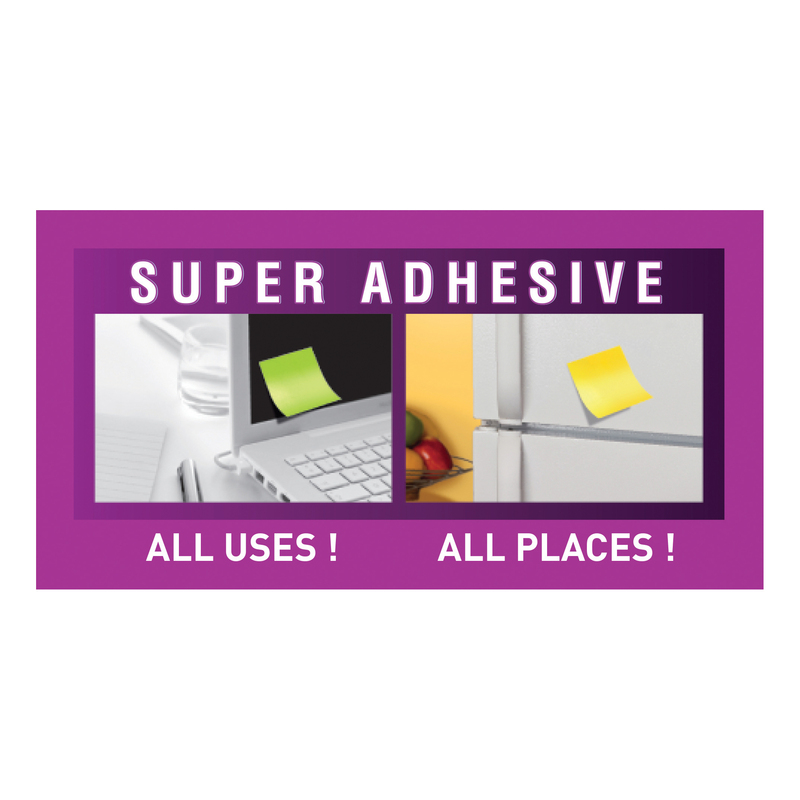 Post-it Super Sticky Notes have an enhanced adhesive which holds stronger and longer to vertical and difficult surfaces. Post-it Super Sticky Notes stick to virtually any surface, and will remove cleanly following use. Post-it® Super Sticky Notes have an enhanced adhesive which holds stronger and longer to vertical and difficult surfaces. 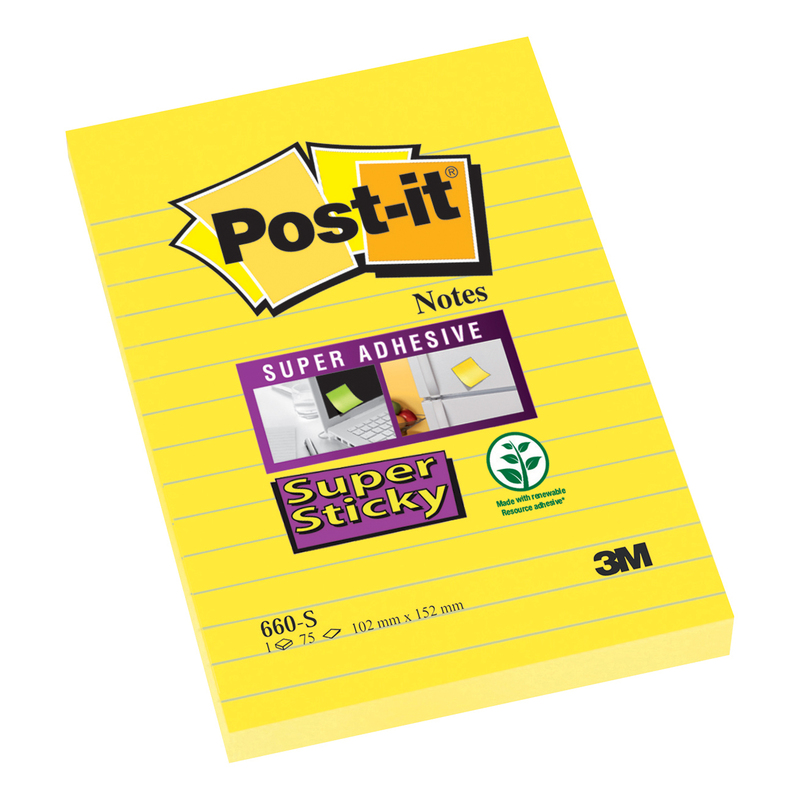 Post-it® Super Sticky Notes stick to virtually any surface, and will remove cleanly following use.